I'm kicking myself that I didn't think of this idea for last week's Seuss-a-palooza. 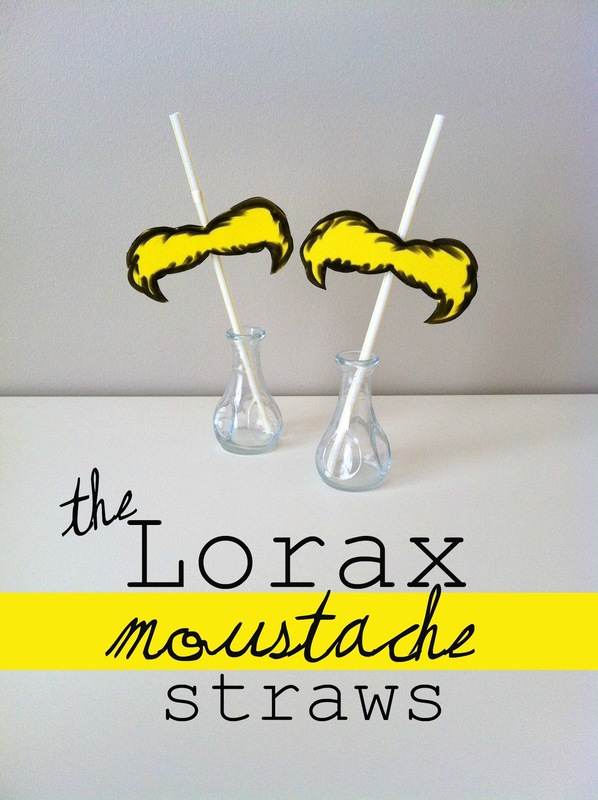 The Lorax inspired Moustache Straws. Step 1: Draw your moustache. Feel free to enlarge mine and trace. I used foam. Step 2: Outline it with a black marker. This is were the 'stache really comes to life. Step 3: Cut it out. I used an Exacto knife, but scissors will work too. Step 4: Tape it to a straw. I used Scotch tape. 4 easy steps is all it takes! Enjoy! Thanks so much for following along! Glad you like the straws - I think they're so much fun! Looks spot on! Great job with the outlining! 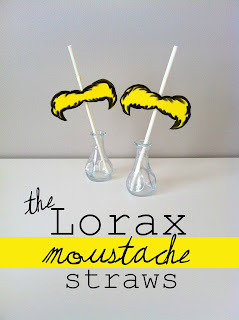 So adorable, it makes me want to have a Lorax Party this weekend! these are so fun! i can't wait until i can go see the movie! thanks for linking up to tip-toe thru tuesday! Visiting from TT&J. These are really cute and look sweet and simple to make. Thanks for sharing! Hey, thanks everyone! I love simple projects like these. I shared some with the kids in the neighborhood and they loved them too!